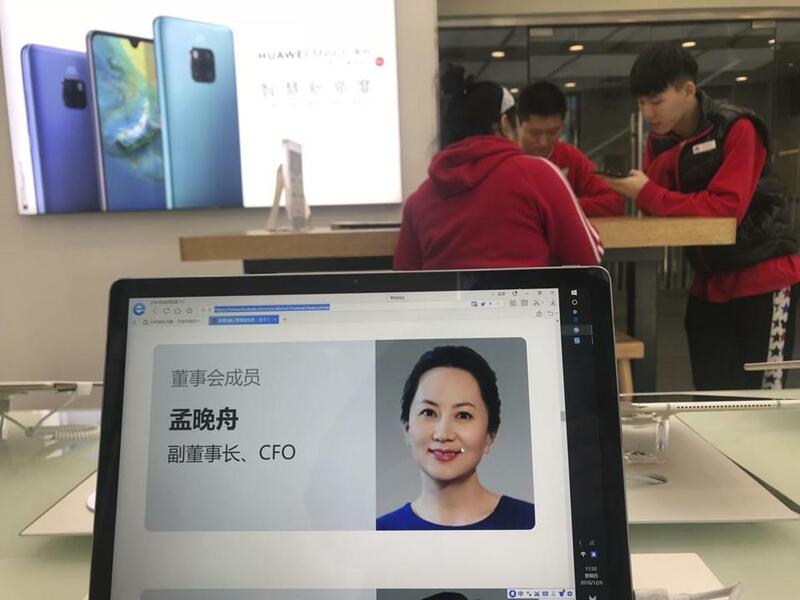 Huawei CFO Meng Wanzhou, shown here on a computer at a company store in Beijing. Good morning and welcome to Talking Points AM for Thursday, Dec. 6. Did the US break the trade cease-fire? The stock market — which is plummeting again this morning — sure thinks so. US investors had the day off yesterday as the nation mourned the loss of former president George H.W. Bush. 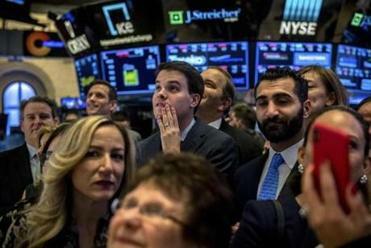 They needed it after a terrible Tuesday, when the S&P 500, a broad gauge of US stocks, fell 3.4 percent. Unfortunately, things seem to be getting worse. US stock tumbled at the open this AM after steep declines in Asia and Europe. The Dow Jones industrial average sank more than 400 points, while S&P 500 resumed its slide after one of the biggest routs of the year. Why the dark mood? Well, investors are still worried that the US economy is starting to run out of steam. And then there is the constant fretting over Brexit and the direction of oil prices (down a lot so far today). But the biggest worry is that the trade truce announced over the weekend by President Trump and Chinese leader Xi Jinping has already fallen apart. Terms of that deal were sketchy at best, and US officials were hard-pressed to back up yet another Trump claim of a big win for America (see: the Saudis' "pledge" to buy billions in US arms and, of course, the end of the North Korean nuclear threat). The arrest of a Chinese tech executive sparked fears of escalating US-China tensions. Then came the news that Canada, at the request of the US, had detained the chief financial officer -- and daughter of the founder -- of China's Huawei Technologies, the biggest manufacturer of equipment used by telecom and Internet carriers. The US may seek to extradite the executive, Meng Wanzhou, on allegations that she was helping the company evade US sanctions on trade with Iran. Huawei (pronounced "whah way") is hardly a household name here, but the company has long been a target of the US government, which considers it a national security threat. How so? Because its products are integral to communications networks around the world, the US suspects that Chinese leaders rely on Hauwei to steal government and corporate secrets. Huawei and Beijing have dismissed those allegations. Moreover, there is that question of violating sanctions by selling equipment to Iran, which the US Department of Justice has been investigating since earlier this year. In other words, Hauwei is caught up in two major US obsessions: fear that China is using espionage to challenge US economic supremacy, and Iran, which the Trump administration is hell-bent on bringing to its knees by sanctions and any other means at its disposal. You can reach me at larry.edelman@globe.com and follow me on Twitter @GlobeNewsEd. And if you're not signed up for the PM edition, you can do so here.